Providing more favourable time tables for a certain business segment of flyers from George to Johannesburg is a 'complicated business', according to Safair. GEORGE NEWS - Flight schedules between the George and OR Tambo Airports are structured to the advantage of flyers travelling from Johannesburg to George, creating a dilemma for Georgians who often work or do business in the metropole. This is according to a regular flyer, Servaas de Kock, Group Editors sales and marketing manager, who often travels to Johannesburg to fulfil duties as the second-in-command of the Caxton digital department's technical side. "With no early morning flights from George to Johannesburg available and afternoon flights all leaving Johannesburg for George before 16:00, it is not possible to spend a meaningful business day without arriving the previous day and having to book accommodation," says De Kock. George Business Chamber president Dr Willie Cilliers agrees. "A meeting in Gauteng is usually between 09:00 and 16:00 which means you have to fly up the day before and fly back on the morning of the third day. You have the additional cost of two nights' accommodation. It is a general problem and will certainly bring about big cost savings if an early morning flight is instituted that returns later in the evening. The flight cost must, however, not be abnormally high." The more favourable time table for travellers from Johannesburg to George allows them to depart OR Tambo before 07:00 and take a return flight from George at 17:00. 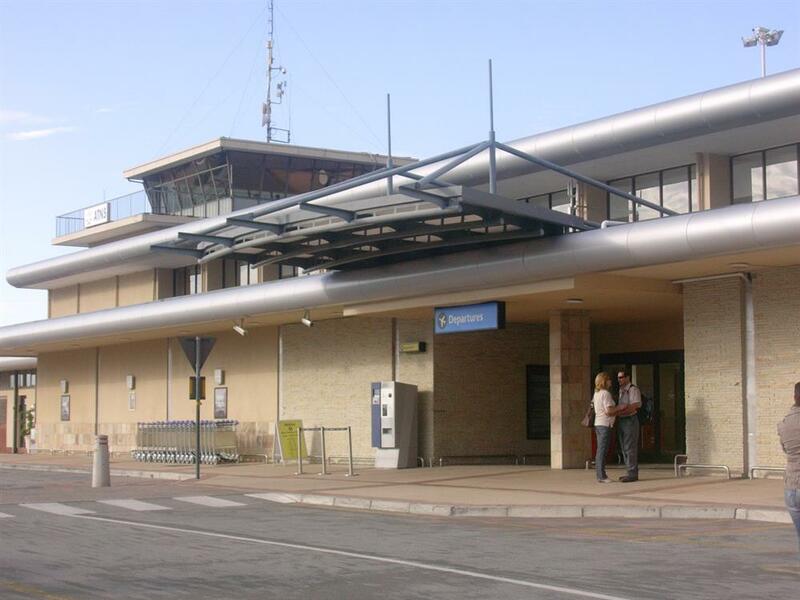 The George Herald approached the airlines that service George Airport for comment. According to Kirby Gordon, head of sales and distribution at Safair, the planning of a flight schedule is a "complicated business" for a low-cost airline. An aircraft needs to fly as many flights in a day as possible and must be filled close to capacity to be economically viable. Another factor to be considered is that schedules may not cause legislated duty hours of the air crew to be exceeded. Furthermore, take-off and landing slots can be tricky to secure, especially at an international airport such as OR Tambo where an aircraft is taking off or landing almost every minute. To keep overheads down, Safair operates only one aircraft type (Boeing 737, with a capacity of 165-189 passengers), so they have a high minimum demand threshold (the point below which it will not make economic sense to fly.) "As it stands we only find it viable to operate one return flight a day, but if the demand was greater, competition thinner, or our aircraft smaller, we would perhaps find it viable to operate two flights daily, for example morning and evening," said Gordon. He said the George route caters to a flood of tourists during the peak holiday season and a year-round business demand. There is also a strong commuter demand from people who live with their families in the Garden Route, but maintain offices in Johannesburg during the week, which Safair's weekend flights cater for. SA Express Head of Communications, Refilwe Masemola, says they consistently study the market to ensure "the most efficient travel options at optimal prices", while their schedule must also support their long-term business goals. Luane Lavery, brand communications manager of British Airways and kulula.com (operated by Comair), says Comair continually considers changes to its routes and the frequency of flights, but they are also guided by demand and viability. Mango Airlines' General Manager: Commercial, Pumla Luhabe, said their chosen flight times are aligned to the fact that the route is predominantly seasonal and used largely by the leisure market. "Our analysis does not show there is adequate demand during the off-peak periods to add additional capacity." Luhabe said they operate a standard fleet of B737-800 with a seat capacity of 186 seats. "To make our operations financially viable, we require sufficient market demand to fill each flight on average 80%."